A freshly designed bike that doesn't follow the trend is always a conversation starter. The P5x certainly ticked that box but Cervélo has set out to make something a little more personal than the P5x. The P3x has built on this legacy, creating a frame that is 16% lighter and also more practical than the P5x. Cervélo's "Speedriser" aerobar system takes away commonly placed exterior cables and puts them neatly within the aerobar. As well as looking the part, this design also allows you to make all the changes you need to get the perfect position with just a 4mm Allen key, ensuring on-the-fly adjustments are fast and easy like they should be. The DT Swiss P1800 Spline 32 wheelset is a fantastic training wheel option that allows you to access the same brilliant frame design and components if you have already got a racing pair of wheels sitting, ready to go, in your garage. If you're looking for a bike that will help you reach your full potential, then look no further. 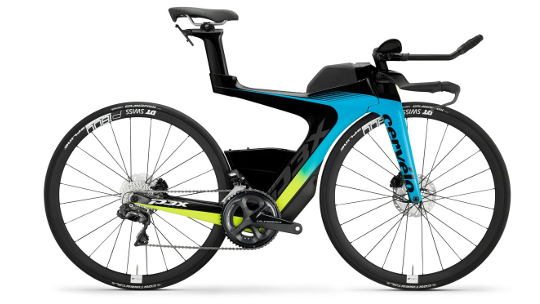 The P3x takes its frame design from Cervélo P5x. It doesn't just look the part but is practical also. First of all the P3x frame is 16% lighter than the P5x frame helping you to maintain your speed as you're flying around the course. The frame design also allows for tyre clearance of up to 36mm helping you to gain more traction and control for tricky descents and technical cornering. 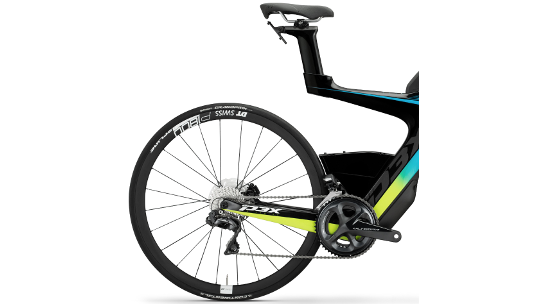 You may already have a favourite pair of disc wheels sitting in your garage ready to be popped onto your next race bike. 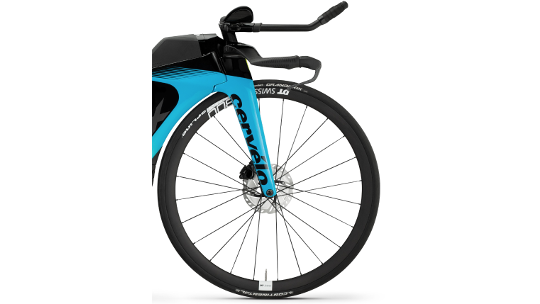 Cervélo understand this, so they have spec'd this model with a fantastic pair of training wheels - the DT Swiss P1800 Spline 32's. This means you can pay less for the same great frame design and components without having to pay extra for a fancy wheelset. The patent pending "Speedriser" aerobar system takes the clutter of brake and gear cables away from the exterior of the bike and instead stores them neatly within the aerobar system. The "Speedriser" design also allows you to make all the minor and major changes you need to your position and all you need is a 4mm Allen key, quick and easy! Headset - FSA IS2 1-1/8 X 1-1/2"